FBI arrests Marzieh – who of us at PressTV is next? 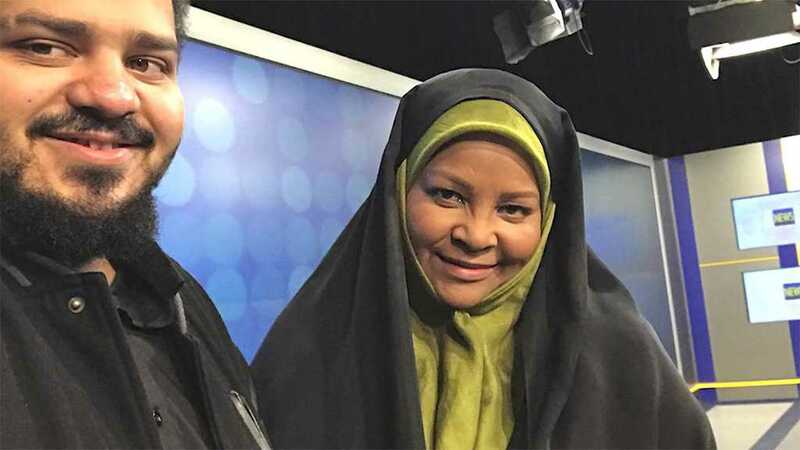 Like illegally jailed PressTV anchor Marzieh Hashemi, I am a journalist at Iran’s PressTV and also a dual-citizen of Iran and the US, with family in both countries. So should I cancel my next trip to the United States, then? I visit the US at least once a year, and nothing could possibly prevent me from returning whenever I want – full stop. So I take a special interest in the illegal and immoral 10-day detention of my PressTV colleague by the United States FBI, and not merely because it would certainly start my next vacation on the wrong foot. Frankly, I was not terribly worried for Marzieh, and you – kind reader – should not worry for me: Marzieh and I have both surely always known that working for Iran would cause us problems in the West eventually. We would be naive to think otherwise, given the West’s brutal, deadly, illegal, inhumane, four-decade war on Iran – we knew what we were getting into (and were proud to do so). Such is the combative, defiant, principled outlook of a good journalist, and Marzieh certainly is that. Her place is empty at PressTV, but, Insh’Allah, she will return soon. So who among us is next to be arrested? Is it me? Is it one of my PressTV colleagues working in the United States? Is it one of our journalists working in a country allied with the US? Or what about journalists for Russia’s RT or Venezuela’s Telesur? The leftist press in the US is certainly never found in any of their Mainstream Media – they are usually “fake-leftist” – but are American anti-imperialist & anti-capitalist journalists going to be chilled into silence? Perhaps. Producing this chilling effect is the only plausible motivation I can come up with for Washington’s decision. Arresting Marzieh was only a major disgrace on the international level – but the US simply does not care. 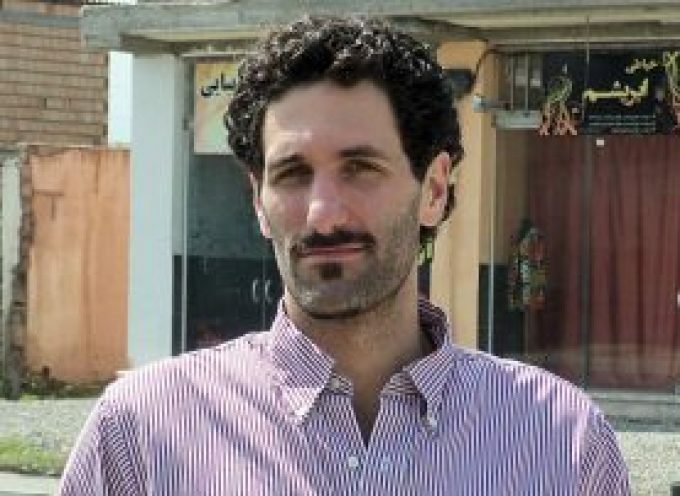 I think that was the real motive behind the arrest: when it comes to Iran, the US simply does not care and will do anything, no matter how unprincipled. Look at Washington’s pulling out of the JCPOA on Iran’s nuclear energy agreement after years of multinational work and promises – Washington’s word means nothing. They have no honor. Indeed, they will arrest a grandmother if it can possibly hurt Iran; or if it can embolden other Western nations to similarly harass PressTV journalists. Washington behaves without honor precisely because they are so very, very desperate to hurt Iran – obviously, the US has lost, is losing, and feels it will continue to lose in its undemocratic and shameful efforts to topple the popular 1979 Iranian Islamic revolution. The US wants to show Iran it can act with impunity. News flash: Iranians already knew that! But Washington keeps willfully ignoring Iran’s collective response: Iran will not stop, no matter how many of our commercial airliners are shot down, how many foreign groups are encouraged to wage terrorism inside Iran, no matter how inhuman the economic siege, no matter how many journalists are arrested, etc. The Iranian Revolution is not strong just because of the massive economic and democratic redistributions it undoubtedly created and cemented – it is strong because of its culture. This culture of resisting fear, intimidation, oppression, imperialism and arrogance is up, down and all around Iran and has been since 1979. Marzieh has discussed, defended, criticised and encouraged revolutionary social-economic-political culture during her work at PressTV – these acts of political modernity are the only reasons why the US arrested her. Indeed, there are very few people like her in the US! This is why Iran wants her back right away – Iran appreciates how special she is. Iran is not so very unique: false sonic attacks in Cuba, napalm in Vietnam, bombing dikes to force agricultural famine in North Korea, funding fascists in China, economic sabotage in the USSR…any country which had a revolution after 1917, and is thus socialist-inspired and opposed to backwards, 1%-protecting Liberal Democracy, has faced or is still facing war from Washington. It’s important to note that I write “Washington”, because Iran is not at war with the American People. That would mean that they are at war with Marzieh and myself – we ARE American! I will never not return to the US because I am American! I simply must re-connect with it periodically, and if it means a stay in jail…well, jails are a huge part of American culture, after all. Especially for African-Americans, and that only added another layer of disgrace in their treatment of Marzieh. The aspect of racism in this case is noted from top to bottom in Iran and elsewhere, even if US media is too cowardly and intimidated to even mention it. Israel doesn’t like to mention their own Apartheid, either. Iran, however, freed the African-American embassy workers and diplomats during the hostage crisis in 1979 because their oppression has been appallingly obvious for not just decades but centuries. My work at PressTV (and I think Marzieh feels the same) is in order to benefit ALL people and not just Iranians. It is not a crime. My work from France is not anti-French, either: it is expressly designed to benefit the French most of all! What PressTV allows me to do is to give voice to those many, many French people who say that Paris is pursuing economic and foreign policies which are against French values and which hurt not just France but the entire world. Alas, just like Washington, France’s elite calls such people “propagandists”, “agitators” or sometimes even “terrorists” – it is nonsensical, sad, and doomed to failure. If Iran was the one crushing the US with sanctions and Cold War – doing everything it could on a macroeconomic level to cause the most suffering possible to the greatest number of people – I would certainly be working for PBS or National Public Radio. Marzieh and I, and the other dual-citizens of PressTV, are NOT disloyal – it is the US government which betrays their People with their treatment of Iran (but, of course, not only Iran). The US has not made and cannot make a criminal out of Marzieh – they have proven she is a true patriot of both Iran AND the US. I always knew she was. And I see no contradiction whatsoever. Those who do foolishly conflate “patriotism” with “jingoism”. Marzieh, allegedly arrested for her role as a journalist filming a Black Lives Matter demonstration in St. Louis, was doing what any patriotic American with her training would do: documenting injustices which are not only anti-American but against Americans themselves. So whatever nefarious plots the US has in store for me upon my next return: I am aware of history, I read the paper and I am quite lucky to say that I have talked with, learned from and been inspired by Marzieh Hashemi – I am neither surprised nor afraid. I will continue to work for the cause of humanity and the related causes Iran stands for: Muslim democracy, anti-imperialism, anti-capitalism, anti-privileges, Islamic feminism and anti-sectarianism (racial, ethnic, religious, etc.). The arrest of Marzieh proves to us Americans that Washington is not defending our uniquely American morals, laws and priorities: freedom of the press, freedom of speech, freedom of religion, freedom from unlawful search and seizure, freedom of due process, the guarantee to equal protection under the law for all citizens and other rights which are both found in our US Constitution, American law and American custom. If Washington would adopt Iran’s modern political struggles and actually defend America’s beliefs – instead of attacking both – what a wonderful world it could be! Marzieh Hashemi has been freed, finally – that was the first step Washington had to take. The second necessary step is to listen to her. Stop the West’s war on Iran! The US government released without charge Press TV anchor Marzieh Hashemi after 10 days of illegal detention at an FBI facility, her family announced. Hashemi appeared before a grand jury in Washington, D.C., on Wednesday morning, when her testimony was expected. The Associated Press cited the people familiar with her case as saying that she was released after her testimony concluded Wednesday afternoon. “Marzieh Hashemi has been released from her detention without charge and is with her family in Washington DC. The family wants assurances that this won’t happen to any Muslim – or any other person – ever again. This was never just about Marzieh Hashemi. This is about the fact that anyone of us, Muslim or non-Muslim can be imprisoned without charge in the United States.